Sitting by the border talking about their next steps, the family looked shell-shocked. It was also obvious that the girls had no idea how much harder their lives would be in Afghanistan, where the expectations of women – and women’s ability to exercise their rights – is so different from in Iran. In the end, the family was deported to Afghanistan over pink sneakers and platform sandals. 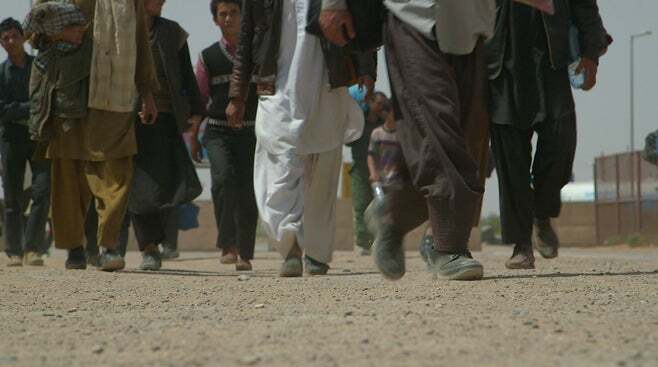 Zohrah, 17, and her sister Hasina, 15, sounded furious, in a teenager kind of way, when they talked about their arrest and how it led them, their father, and Zohrah’s boyfriend to a dusty reception center on the Afghan side of the Iran-Afghanistan border. They were waiting for a bus to drive them across the arid land further into Afghanistan, a country neither girl had ever seen – Hasina was born in Iran, and their parents had settled in Iran when Zohrah was still an infant. But because their parents were Afghans, none of the family had Iranian citizenship. Dozens of other Afghans sat with them in the hangers of the reception center. Like Zohran and Hasina’s family, a number of them had papers showing they lived in Iran legally, but this didn’t stop Iranian officials from deporting them. In two separate statements, the United States called on the Iranian government to heed its people’s will after the surprise election of Hassan Rouhani in the first round of presidential elections. The Obama administration also “remains ready to engage with the Iranian government directly” to reach a diplomatic solution in the long standoff over Tehran’s controversial nuclear program. We have seen the announcement by Iran’s Interior Ministry that Hassan Rouhani has been declared the winner of the country’s 11th presidential election. We admire the courage of the Iranian people who went to the polls and made their voices heard in a rigidly controlled environment that sought to limit freedom of expression and assembly. We remain concerned about the lack of transparency in the electoral process, and the attempts to censor members of the media, the internet, and text messages. Despite these challenges, however, the Iranian people have clearly expressed their desire for a new and better future. President-elect Rouhani pledged repeatedly during his campaign to restore and expand freedoms for all Iranians. In the months ahead, he has the opportunity to keep his promises to the Iranian people. We, along with our international partners, remain ready to engage directly with the Iranian government. We hope they will honor their international obligations to the rest of the world in order to reach a diplomatic solution that will fully address the international community’s concerns about Iran’s nuclear program. 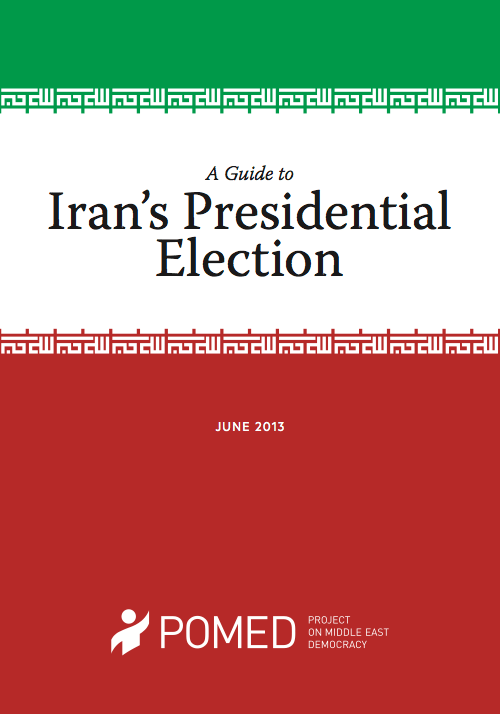 The field of candidates may be limited, but the outside world can still learn a lot from Iran’s 2013 presidential poll. The election will provide three pivotal metrics about the Islamic republic now that the Ahmadinejad era is ending. First, the (real) turnout at the polls will indicate how many Iranians still have an interest in the world’s only modern theocracy. The government is quite obsessed with the number of people who vote to prove it still has a public mandate. Voting has become almost an existential issue for the ruling clerics. “A vote for any of these eight candidates is a vote for the Islamic Republic and a vote of confidence in the system and our electoral process,” Supreme Leader Ayatollah Ali Khamenei said in a public appeal on June 4. He charged that the outside world was plotting to ensure a low turnout. Leaders clearly hope at least 60 percent of the estimated 50 million voters will turn out. Second, reaction to the results will signal whether the public deems the election process itself legitimate. It’s no small issue. Many Iranians believed the 2009 presidential poll was fraught with fraud—and that Ahmadinejad was not really reelected. The reaction sparked the greatest challenge to the Iranian regime since the 1979 revolution. It gave birth to a new opposition movement. Over the next eight months, millions turned out in cities across Iran to challenge the results—and to demand “Where is my vote?” The regime used brutal force, arrested thousands, and held Stalinesque trials to quash the new Green Movement opposition. On June 14, Iranians will vote in a presidential election to replace incumbent President Mahmoud Ahmadinejad, whose term ends in August. The election is being held in the shadow of 2009’s contested vote, which prompted massive protests and a subsequent government crackdown that resulted in the arrest, detention, and torture of thousands. Many Iranians are understandably disillusioned, believing the June election to be nothing more than a means by which the Iranian government can reassert its legitimacy and deepen the allegiance of its citizens to the system. 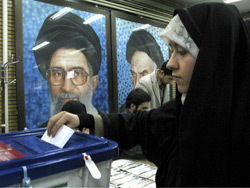 Despite these concerns, the election process presents a unique window into the internal debates and disagreements gripping the Islamic Republic. Supreme Leader Ali Khamenei, and the twelve-person Guardian Council acting under his authority, retains extensive control over the electoral process. It is generally believed that the outcome will be predetermined through vetting, fraud, or both. In 2009, the Supreme Leader’s decision to endorse Ahmadinejad before the Guardian Council had certified the results both violated the election law and undermined faith in the Supreme Leader’s historic role as a neutral arbiter. Factional infighting and elite rivalries have worsened, and the political battles that have typically characterized these rivalries are now being waged publicly—a development that is dramatically affecting the pre-election environment. The full report is available to view or download as a PDF on our website. The United States and the international community stand shoulder to shoulder in maintaining pressure on the Iranian regime until it fully addresses concerns about its nuclear program. That is why today I am pleased to announce that China, India, Malaysia, Republic of Korea, Singapore, South Africa, Sri Lanka, Turkey, and Taiwan have again qualified for an exception to sanctions outlined in section 1245 of the National Defense Authorization Act (NDAA) for Fiscal Year 2012, based on additional significant reductions in the volume of their crude oil purchases from Iran or for reducing those purchases to zero and remaining there. As a result, I will report to the Congress that exceptions to sanctions pursuant to Section 1245 of the NDAA for certain transactions will apply to the financial institutions based in these jurisdictions for a potentially renewable period of 180 days. Today’s determination is another example of the international community’s strong and steady commitment to convince Iran to meet its international obligations. A total of 20 countries and economies have continued to significantly reduce the volume of their crude oil purchases from Iran or have completely eliminated such purchases. This determination takes place against the backdrop of other recent actions the Administration has taken to increase pressure on Iran, including the issuance of a new Executive Order on June 3. The message to the Iranian regime from the international community is clear: take concrete actions to satisfy the concerns of the international community, or face increasing isolation and pressure. On June 4, the United States sanctioned a major network of front companies for hiding assets on behalf of Iranian leaders. The Treasury targeted The Execution of Imam Khomeini’s Order and 37 ostensibly private businesses under it. Many are front companies involved in real estate, construction, banking, and other sectors of Iran’s economy. “While the Iranian government’s leadership works to hide billions of dollars in corporate profits earned at the expense of the Iranian people, Treasury will continue exposing and acting against the regime’s attempts to evade our sanctions and escape international isolation,” said Under Secretary for Terrorism and Financial Intelligence David S. Cohen. The Obama administration has implemented four rounds of sanctions in the past week alone. The following are excerpts from the press release, including a link to the full text at the end. Iran’s Medical Shortages: Who’s Responsible? Press reports about medical supply shortages in Iran, some of which have described devastating consequences, have been surfacing in the last two years, while debate rages on about who’s responsible — the Iranian government or the sanctions regime. Siamak Namazi, a Dubai-based business consultant and former Public Policy Fellow at the Woodrow Wilson Center for International Scholars, admits the Iranian government shares responsibility but says sanctions are the main culprit. Humanitarian trade may be exempted from the sanctions, says Namazi, but that isn’t enough when the banking valve required to carry out the transactions is being strangled. “[I]f [sanctions advocates] maintain the sanctions regime is fine as it is, then how come they try to promote substitution from China and India?” asks Namazi. The following Q&A with Namazi was conducted in Washington, DC. Q: You recently authored a policy paper published by the Woodrow Wilson Center where you essentially blame medical shortages in Iran on Western sanctions. How did you reach this conclusion? Siamak Namazi: We concluded that the Iranian government deserves firm criticism for mismanagement of the crisis, poor allocation of scarce foreign currency resources and failing to crack down on corrupt practices, but the main culprit are the sanctions that regulate financial transactions with Iran. So, while Tehran can and should take further steps to improve the situation, it cannot solve this problem on its own. As sanctions are tightened more and more, things are likely to get worse unless barriers to humanitarian trade are removed through narrow adjustments to the sanctions regime. Kommentare deaktiviert für Iran’s Medical Shortages: Who’s Responsible? WHITE HOUSE – U.S. President Barack Obama on Monday signed an order imposing additional sanctions on Iran, for the first time directly targeting Iran’s currency, the rial. It’s the latest U.S. step to increase pressure on Iran to change course on its nuclear program. The executive order further intensifies the second track of the Obama administration’s strategy on Iran, which aims to increase the economic costs, and further isolate the Islamic Republic from the global financial system. It authorizes sanctions on foreign financial institutions that knowingly conduct or facilitate significant transactions for the purchase or sale of the Iranian rial, or that maintain significant accounts outside Iran denominated in the Iranian rial. Senior administration officials said no specific dollar amount is specified, although regulations contain some guidance on this. 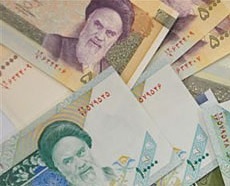 The idea, said one official, is to make the Iranian currency „essentially unusable outside of Iran,“ as part of the overall effort to apply „significant financial pressure“ on the government of Iran. On June 3, the United States imposed sanctions for the first time on Iran’s currency, the rial. Foreign financial institutions may now face penalties if they “knowingly conduct or facilitate significant transactions” involving the rial― which has already lost half its value since January 2012. The executive order’s objective is to render the currency unusable outside of Iran, a senior administration official said during a conference call. Iran conducts very little trade in the rial. So the measure may also be aimed at further depreciating its value and making Iranians feel more uneasy about holding their own currency. The executive order also authorizes new penalties on Iran’s automotive industry. And it allows the sanctioning of any individuals who help Iranians and others previously blacklisted by the Treasury. The Obama administration has now implemented nine sets of sanctions on Iran. An official said that the timing of the latest measure was not tied to the June 14 presidential election. So the timing may have more to do with pressuring Iran ahead of nuclear negotiations expected to resume after the election hiatus. The following is the complete text of the White House press statement, including links to the executive order and the president’s message to Congress. Today the President approved a new Executive Order (E.O.) to further tighten U.S. sanctions on Iran and isolate the Iranian government for its continued failure to meet its international obligations.